If you’re looking for ways to improve the appearance, safety, and value of your home, then consider fence installation. With the right tools and equipment rentals plus a free weekend, you can build a fence around your property that adds curb appeal and helps keep unwanted visitors out. Whether you live in a crowded neighborhood or a rural area, burglary poses a threat to your home. When you add a fence to your property, you can discourage trespassers from coming onto your land, and some fence designs can create a significant barrier for them to overcome. 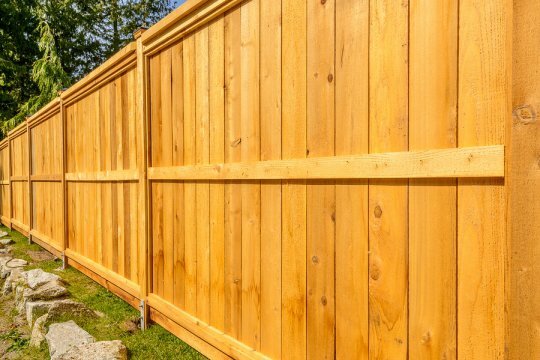 If theft and burglary have been an issue for you or your neighbors, then consider adding a fence to your home’s perimeter. While having wildlife nearby is important for maintaining ecological balance and can be pleasant to see and hear, some animals can do serious damage to your foliage and garden. A few of the most common culprits that destroy residential vegetation include deer, rabbits, and bears. While there are plenty of animals that are difficult to keep off of your lawn, these three species can be deterred with the right type of fencing. If you’re tired of finding your shrubs demolished, lettuces devoured, and berry brambles wiped clean, then your home might benefit from the protection of a fence. If you live in a family-oriented residential area, then your neighborhood may have a lot of kids. While this can keep things lively, you may find that children frequently cut across your yard and damage your well-maintained landscaping. If you’re looking for ways to prevent people from taking shortcuts over your lawn, then fence installation is an excellent way to add protection for your property. At A Tool Shed , we carry many of the supplies and rental tools that you need to build a quality fence for your home. To find out more about our range of equipment and tools for rent in San Jose, give us a call at 1-800-286-6574. In many parts of the country, summer brings severe storms in addition to hot weather. For this reason, backup generators are useful tools to have in your home appliance lineup. Whether you purchase a generator or borrow one from a rental equipment company, it makes sense to have an alternative source of power for your home in the case of an emergency. Your home’s electricity is what allows many of your electronics to function under normal circumstances. When the power goes out, you’ll be left without the use of ovens and microwaves, washers and dryers, indoor and outdoor lighting, and your desktop computer until the electrical lines in your area are repaired. Generators allow you to cool your home. 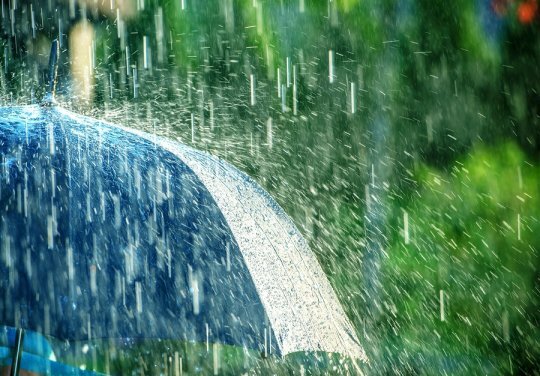 When severe weather strikes and you’re left without power, you are likely to feel the effects of no air conditioning once the storm moves on. Without a way to keep your home cool in the summer, it can be incredibly uncomfortable, but also dangerous for the elderly or individuals with health problems. Having a backup power source helps to ensure that your family can stay cool in the heat until your electricity returns. Generators can keep food fresh. While it may not be the first issue you think about when the power goes out, the food stored in your refrigerator and freezer has only a short lifespan before the lack of electricity causes their contents to melt or rot. The number of perishable groceries that you have can add up to a significant amount which could be costly to replace, particularly if you have a large family. Having a generator prepared for emergencies can prevent you from having to toss out all of your perishable goods. If you’re concerned about being knocked offline because of summer storms, then call A Tool Shed today at 1-800-286-6574. We offer a wide range of equipment rentals as well as generators for sale in San Jose to help keep your home functioning in the case of a power outage. A DIY project shouldn’t turn into an ER trip. Fortunately, the best way to prevent injury is by prevention and attentiveness. First, remember to wear protective eyewear and double-leather work gloves if you’re working with saws, drills, and other high-power tools. On the subject of tools, be sure that they are in good condition. Blades should be sharp, motors should work well, and tools should be totally intact and sturdy. It’s also smart to wear a mask if you’re working with wood or chemicals, and you should always take care to work in a well-ventilated, well-lit area. When it comes to the DIY project itself, take it slow. Rushing could lead to mistakes and, even worse, injuries. Measure carefully and cut mindfully while keeping hands, fingers, and eyes a good distance away from tools. Most importantly: do not cut corners or take shortcuts. Follow instructions to the T, especially if you’re a novice DIYer. Investing in your safety may not particularly cheap, but it sure is cheaper than a trip to the ER. No tools to DIY with? Don’t let it stop you! 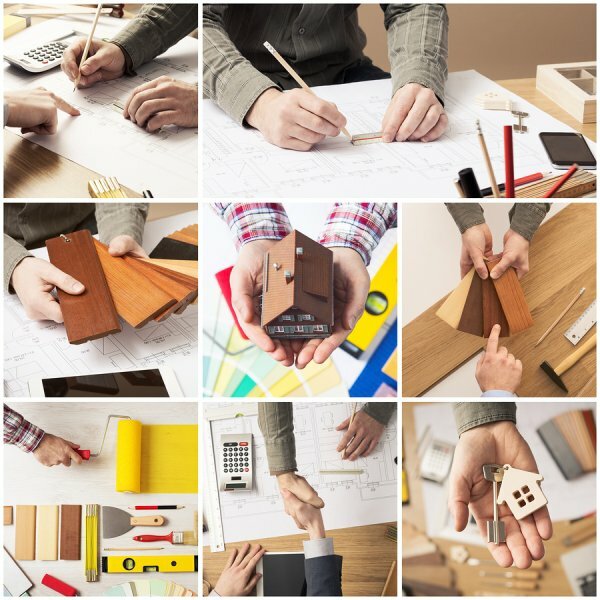 Here at A Tool Shed, you’ll find all kinds of tools that you can rent at affordable rates so you can take your time to put together a great DIY project. To learn more about what we offer, visit our website or call us at 1-800-286-6574. When you think of summertime, you imagine cookouts and outdoor activities on a lush and green lawn– or maybe you dream of having a green lawn of your own! No matter which, this video will teach you some basic but essential lawn care tips such as mowing and watering which, as it turns out, are not quite as simple as they seem. Watering, in particular, requires good planning to avoid oversaturating grass, which not only hikes up your water bills, but attracts bugs and makes it hard to grass to flourish. Still, it’s important to water deeply two or three times a week to encourage grass roots to grow deeper into the earth, which allows the grass to absorb the nutrients it needs to grow and keep its beautiful color. At A Tool Shed, we support DIYers and contractors alike in their remodeling and building efforts by offering tool rentals at affordable rates so that our customers can bring beauty, style, and functionality to their homes and lawns. To learn more about us, visit our website or call us at 1-800-286-6574.